This will be another record-breaking year for live music. “I haven’t seen people spending this much money on live music since the late ’90s,” says Tommy Goodwin. Goodwin, who leads field operations at Eventbrite, has over 20 years of experience managing event logistics for major festivals like Governors Ball. But growth isn’t always good news. Music fans have raised their expectations for which artists they’ll shell out money to see and how they’re willing to buy tickets. 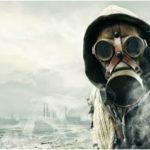 In the rapidly shifting landscape, venue owners, promoters, and festival directors need to learn how to appeal to today’s fans to survive. Over the past decade, large national concert promoters like Live Nation and AEG have been acquiring venues and music festivals at an increasing pace. But this year, they’re moving down-market to acquire smaller and medium-sized venues and promoters in local markets. This has a direct impact on the ability for independent promoters, venues, and festivals to book top-line artists. New talent brings new fans — and those fans don’t always behave in familiar ways. Many promoters have noticed an increase in one-time visitors and no-shows, making it difficult for venues to build a sustainable, loyal fan-base. According to Kevin Arnold, founder of Noise Pop Industries, the shifting fan-base has had unforeseen operational impacts. 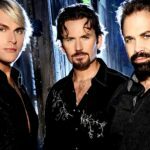 Unique bands like the “The Texas Tenors” who are returning to ‘America’s Got Talent’ Stage, 10 Years After Their Big Break are selling out venues throughout the world. The three-time Emmy Award winning vocal group, comprising of Collins, JC Fisher and John Hagen, has performed more than a thousand concerts since their big debut on “America’s Got Talent” in 2009, including the National Tree Lighting Ceremony at the White House in 2017. But the trio remembers a time not too long ago, when they were all struggling to make ends meet in their various, non-music-related jobs. “We were all kind of in a slump, and doing different things, odd jobs. JC and I actually met doing construction together,” Hagen said. “I wanted to spend more time with my buddies and that was the only way to do it,” Fischer joked. The Texas Tenors eventually came in fourth place in “AGT”’s season 4, and leveraged the newfound fame to jump start their careers in music. They are even now working on their latest album. “’America’s Got Talent’ gave us a platform to take what we do and get seen and then we took it, we’ve been running, we’ve been doing all these shows,” Fischer said. 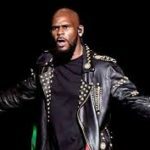 “We talk about how that was our platform that launched us out there, and we look back on our time on the original ‘America’s Got Talent’ very fondly.We look back on our past and we don’t take anything for granted, and we encourage [people] all the time to follow their dreams,” said Collins. 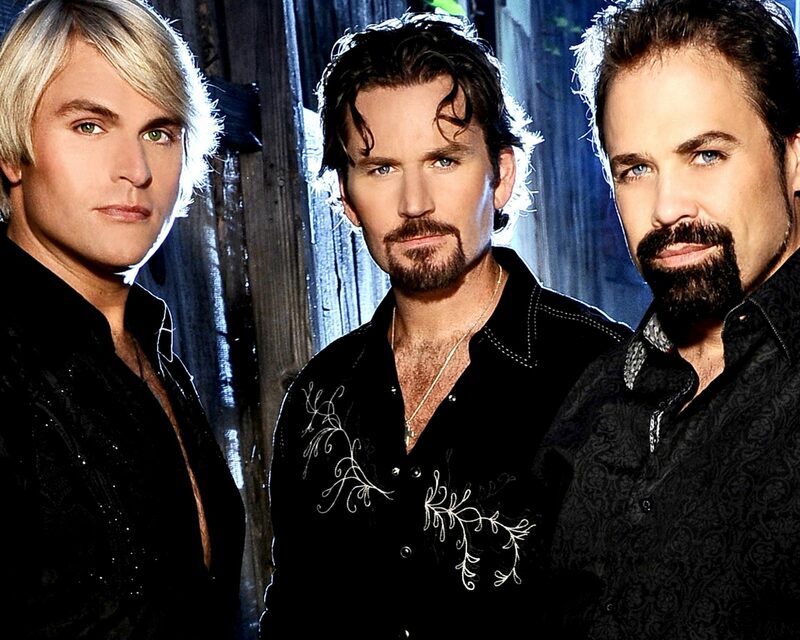 The Texas Tenors have also used their talent beyond concert halls. 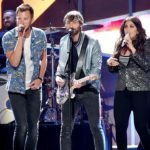 They have been featured entertainers on NBC’s The Today Show, Hallmark’s Home and Family and The 28th Annual Cinematheque Awards honoring Matthew McConaughey, to name a few. 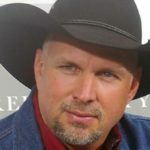 Other notable performances have included NBA games, the PBR World Championships in Las Vegas and a variety of charity events. John, Marcus ,and JC are always ready to give back and promote awareness for organizations near and dear to their hearts including The Child Fund International, Homes for our Troops and The Mission Project. The Texas Tenors proudly remain self-produced and managed with a commitment to quality, family entertainment for all ages. Whether it be stage, television, recording or multi-media projects, these “three friends with a dream” never forget their roots. The Texas Tenors are the most successful music group and third highest selling artist in the history of America’s Got Talent! Since appearing on the show in 2009, JC, Marcus and John have released 4 studio albums, 2 PBS Specials, 4 DVDs, multiple singles and a children’s book that have earned them impressive recognition including 3 Emmy Awards, The Gelett Burgess Award for Excellence in Children’s Literature and the distinction of being Billboard Magazine’s 2017 #10 Classical Crossover Artist in the World. Their most recent albums “Rise” and “A Collection of Broadway and American Classics” both debuted at #1 on the Billboard Classical Chart. These classically-trained, versatile tenors have performed more than 1300 concerts around the world including headline shows in Las Vegas, China and a 24-city tour on the United Kingdom. With three different live concerts “Rise: Live on Tour”, rousingly patriotic “Let Freedom Sing” and holiday favorite “Deep in the Heart of Christmas”, their concerts appeal to all ages and have been wildly successful from performing arts centers, casinos and symphony halls to outdoor festivals and corporate events. In addition to collaborations with some of the most prestigious symphonies in the world including the Houston Symphony, Pittsburgh Symphony and The City of Prague Orchestra, The Texas Tenors have performed at The White House National Tree Lighting, Congressional Medal of Honor Ceremonies, numerous charity events, NBA games and The PBR World Finals in Las Vegas. In 2019, The Texas Tenors will celebrate 10 years together by launching their “10th Anniversary Tour”. They are honored to be included among the top 50 acts in the world and take pride in remaining the same self-managed and self-produced “three friends with a dream”. The Texas Tenors just as easily could have been called The Kansas Tenors, but their performing name won out due to all three guys having lived at one time or another in the Lone Star State. Kansas figures a lot into the varied musical influences of John Carl (J.C.) Fisher, who came up with the idea for the group to mix popular classical music selections like Puccini’s aria Nessun Dorma with country hits like John Denver’s Thank God I’m A Country Boy. Fisher, whose dad at 86 still operates a ranch of almost 90 head of beef cattle, received a master’s degree in music from Wichita State University. He met 1997′s Miss Kansas Jennifer Vannatta at the preliminary pageant for the Miss America competition when she was a contestant and he was a performer. They subsequently married and now live in Overland Park south of Kansas City. Fisher spent several years performing on cruise ships to foreign destinations before settling in Kansas after his marriage. Friends with similar tastes in music brought him together with John Hagan of Waverly, Iowa, who had an extensive background in operatic performances and who also was living in Kansas. They talked about Fisher’s idea of mixing opera with Broadway, popular and country songs which led to Fisher getting in touch with Marcus Collins, whom Fisher had come to know during their cruise ship days. Collins of Washington, Iowa, had an extensive background in Broadway and off-way stage productions and had settled in Los Angeles pursuing a career in movies and TV shows. Fisher had Collins fly to Kansas to audition with him and Hagan. That resulted in the trio being formed. They only had been together a few months when they auditioned in Houston, Texas, for America’s Got Talent with their version of (Play Me Some) Mountain Music made popular by the country rock band Alabama. Their weekly appearances on the show gained them an international following and led to their 2013 PBS TV special You Should Dream, which won three Emmy Awards. Last year their second PBS TV special, RISE, aired to critical acclaim. It was filmed with an orchestra at the 1894 built Opera House in Galveston, Texas. As if that weren’t good enough for 2017, just last month the trio was seen on the Hallmark cable channel for the National Christmas Tree Lighting at The White House. They not only got a tour of the First Family’s residence along with The Beach Boys, but they also got to see President Trump board the Marine One helicopter and leave the White House. Another band to watch for is “We Three,” another unique band that focuses in on good wholesome family entertainment.